Digital single-lens reflex cameras, or DSLRs for short, are what separates professional from amateur photographers. Their large image sensors capture even the tiniest details and render colors with utmost accuracy. In addition to their superior image quality, DSLRs are also sprinkled with buttons that allow you to comfortably change important settings without having to go through a whole cascade of menus. Of course, they are also compatible with many first- and third-party lenses, which means that you can always have the right focal length for any given situation. But which DSLR camera in 2019 should you pick? Well, that depends mainly on your needs and personal preferences, but we can tell you which DSLR cameras you should choose from. 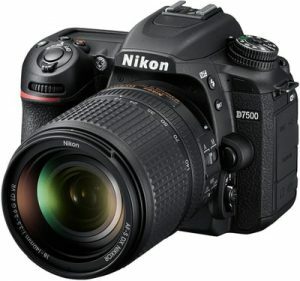 Here’s a list of the top 7 best DSLR cameras in 2019. We’ve included something for every budget, but don’t think that you have to spend thousands of dollars just to get a decent DSLR camera. Even entry-level DSLRs are good enough for you to unleash your creative side and capture everything from nature to animals to people and the cities where they live. 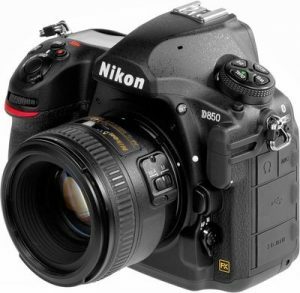 If you have a generous budget and would like your new DSLR camera to last you a while, the Nikon D850 is arguably the best choice you can make today. With its massive 45.7 MP resolution and 64-25,600 ISO, the camera delivers professional results at a price even dedicated amateur photographers can afford. Videographers can benefit from the camera’s 4K video recording capabilities, and everyone can appreciate the speed and precision of the EXPEED 5 image processor, which is the secret behind the D850’s wide dynamic range, subtle tonal and textural details, and nearly non-existent image noise. Cons: Costs more than its predecessor, the D810, but is also significantly more capable. With each new generation of the 5D series, Canon sets a new benchmark for DSLR performance. 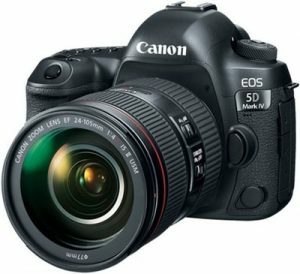 The Canon EOS 5D Mark IV is no different in this regard, featuring a refined 61-point AF system and Canon’s revolutionary Dual Pixel CMOS AF for quick, smooth AF for both video and Live View shooting. Its sensor has 30.4 MP and operates at ISOs of up to 32,000. The camera has Wi-Fi connectivity, built-in time-lapse support, and two memory card slots to give you plenty of storage space for your pictures and video files. 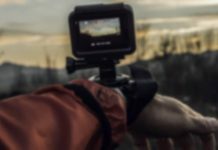 Unfortunately, it shoots 4K video only at 30 frames per second, making it less than ideal for videographers looking for an affordable professional-grade camera. Pros: Reliable autofocus. Wi-Fi connectivity. ISOs of up to 32,000. Wide range of lenses to choose from. Cons: Limited video recording capabilities. Some photography genres are not compatible with the sound of a DSLR mirror clattering with each and every shot. Just imagine shooting a wedding and seeing how all attendees become more and more irritated with each shot you take with your bulky DSLR camera. 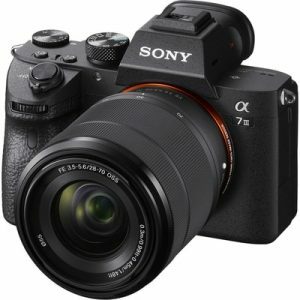 All of this is avoidable with the Alpha A7 III, a mirrorless camera with outstanding imaging capability and unmatched flexibility. Its 24.2 MP Exmor R CMOS sensor features a back-illuminated structure that helps it achieve high data readout and processing speeds to support its 10 FPS burst shooting mode. The camera is much more portable than traditional DSLRs, but it’s ergonomics don’t suffer. Pros: Shoots uncropped 4K video footage. Features a very effective image stabilization system. Compact yet durable and comfortable body. Cons: Only one UHS-II memory card slot. 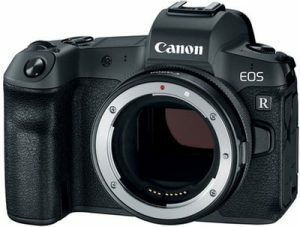 Canon has entered the mirrorless game with the Canon EOS R, a revolutionary camera that introduces an entirely new lens mount that has been designed for optical excellence today and incredible optical potential for the future, according to Canon. The camera has a 30.3 MP CMOS sensor and the DIGIC 8 image processor, and its built-in electronic viewfinder has approximately 3.69 million dots, which together provide a bright, sharp and colorful 100 percent view of the subject at hand. Thanks to a variety of mount adapter options, you can use your existing Canon or third-party lenses with the Canon EOS R.
Pros: Fantastic electronic viewfinder. Compatible with older Canon lenses. Superb autofocus performance. 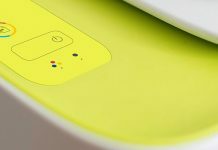 Bluetooth and Wi-Fi connectivity. Cons: Larger than most other mirrorless cameras. 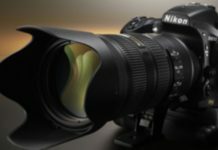 The Nikon D7500 is a great choice for those who have no use for professional DSLRs but want something better than what the entry level models have to offer. It uses the same 20.9 MP DX-format image sensor and Expeed 5 image processing engine as the D500, allowing you to enjoy top-tier image quality at a relatively affordable price. 4K video capture is possible at 30, 25, and 24 frames per second, and you can seamlessly output everything the camera sees via HDMI. Thanks to Nikon SnapBridge technology, you can transfer pictures and videos from the camera over Bluetooth or Wi-Fi, so you can pack an extra memory card instead of a USB data cable. Pros: The same sensor and image processing engine as the D500. Live HDMI output. Excellent ergonomics. Support for Nikon SnapBridge technology. Cons: Has only one memory card slot. If you’re a professional photographer—or aspire to become one—you need professional equipment. 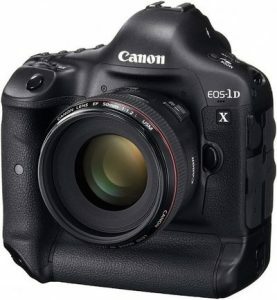 The Canon EOS-1D X Mark II is designed for professional sports photography, which is why it can capture up to 14 frames per second continuously. With a CFast card, its burst rate reaches up to 170 RAWs, giving you a very high chance of getting the perfect shot of a fast-moving subject. The camera also copes extremely well with poor lighting conditions thanks to its wide ISO range, which is expandable to 409,600. Pros: Incredibly fast. Great for sports photography. 4K video recording at up to 60 frames per second. Cons: Very expensive. Very expensive. There’s nothing new about mirrorless cameras. But when one of the most respected and influential camera companies introduces a new mirrorless camera, everyone pays attention. 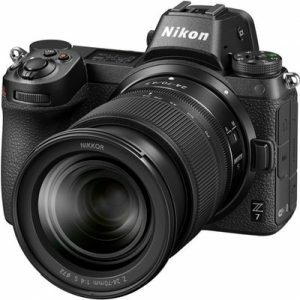 The Nikon Z7 is a mirrorless camera done right. It’s relatively light, small, and compatible with more than 90 F-Mount NIKKOR lenses. You can also use it with new NIKKOR Z lenses, which have been designed with the mirrorless form-factor in mind to deliver corner-to-corner sharpness even at their widest aperture. Pros: Nearly flawless ergonomics. Redesigned electronic viewfinder. Many lens options available. Cons: Only one memory card slot. Pricey lenses. You don’t have to be a professional photographer to use a DSLR camera, but having one makes it much easier to achieve professional results. These days, even entry-level DSLRs offer solid image quality, and they come packed with a whole host of useful features that make them worth their price. Just keep in mind that you also need a high-quality lens to use your DSLR camera to its full potential. Previous articleWhat is ClearOS and How Can I Use It?